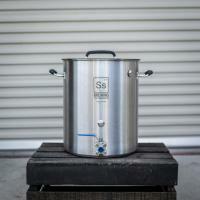 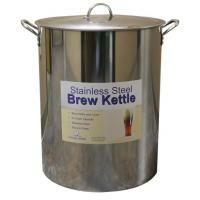 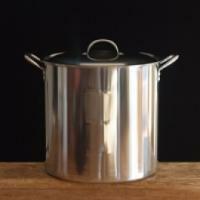 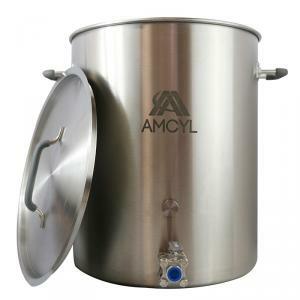 10-gallon AMCYL stainless steel brew pot. 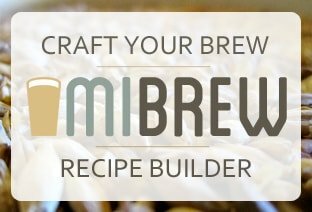 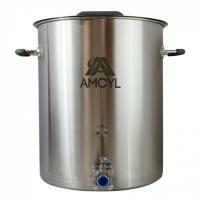 AMCYL Brew Kettles are constructed of food-grade, 18 gauge stainless steel. They include weldless fittings and ball valve for easy cleaning, tri-clad bottoms for even heat distribution, heavy-duty handle rivets, laser-etched internal measurement markings, and silicone handles on kettle and lid. 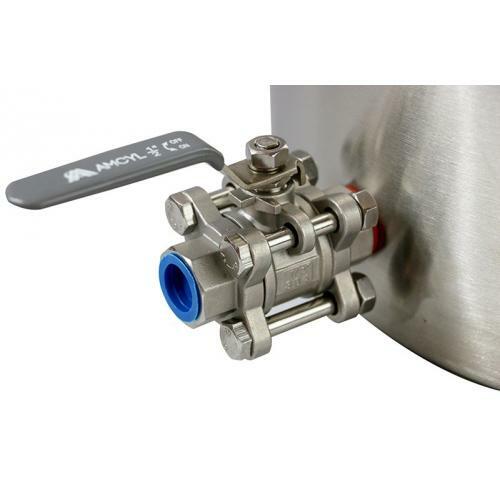 Full stainless steel 3-piece weldless ball valve included, with 1/2" NPT internal thread for accessory attachment. 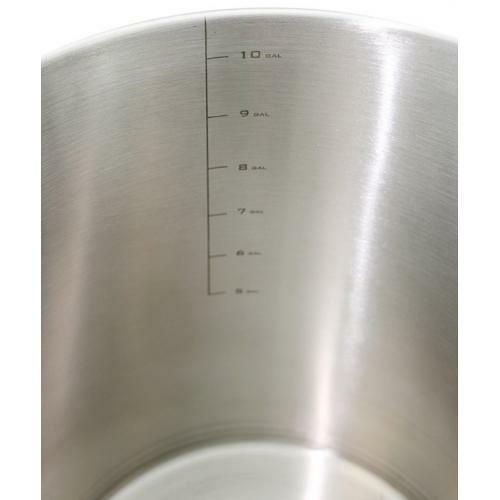 Lid rests on handle, for easy access and cleanliness.